Four weeks after she welcomed her son, we're welcoming Crown Princess Victoria back to public events. 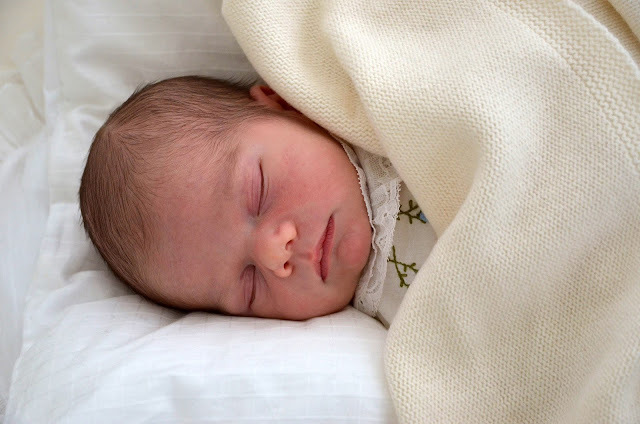 The heir to the throne of Sweden attended her first engagement yesterday since giving birth to Prince Oscar on March 2nd. And she looked very, very well indeed. 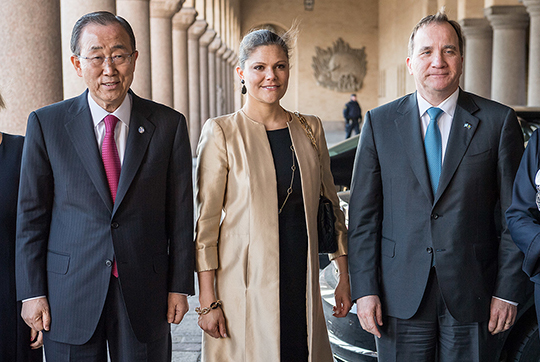 Victoria attended the annual Dag Hammarskjold lecture, held every year since 1998 in memory of the man who was the United Nations' second Secretary-General. Speaking this year was the man who currently holds that post, Ban Ki-Moon, who talked about the challenges facing the UN in a changing global landscape. March is almost done but it's leaving plenty of royal memories behind. We met a brand new royal and began the countdown to celebrations for the record breaking birthday of the oldest monarch in Europe. There was plenty of glitz and glamour not to mention a handsome prince called Harry winning hearts around the world. Here are eight royal reasons why we won't be forgetting March 2016 in a hurry. With March almost done, it's time to cheer the winners in the Royal Wardrobe. We've had some standout looks this month from fairytale ballgowns to springlike suits with a sharp edge. So here's a glance back at the looks that made us cheer in March 2016. 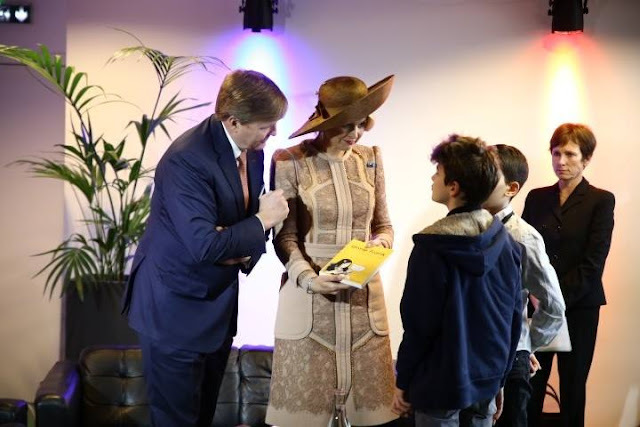 When it came to royal fashion in March, Queen Maxima ruled. She's had a great year so far but her wardrobe this month, especially during her trip to France, has been standout and then some. The best of all her choices was this golden caramel coat worn on day one of the State Visit which just gets better with every look. Add in a Maxima hat for style perfection. Not far behind in the outfit of the month stakes was Beatrice Casiraghi who wore a dream of a dress to the Rose Ball in Monaco. Her red gown really was the stuff that fairytales are made of with a skirt that took the definition of full to new levels and a fitted bodice that made the whole thing simply stunning. A triumph of tulle. So now we have an itinerary, it's time to start picking highlights. We already knew that the Duke and Duchess of Cambridge would be travelling to India and Bhutan between April 10th and April 16th but now we know just what they are planning. And some engagements are springing out as big moments in the making. 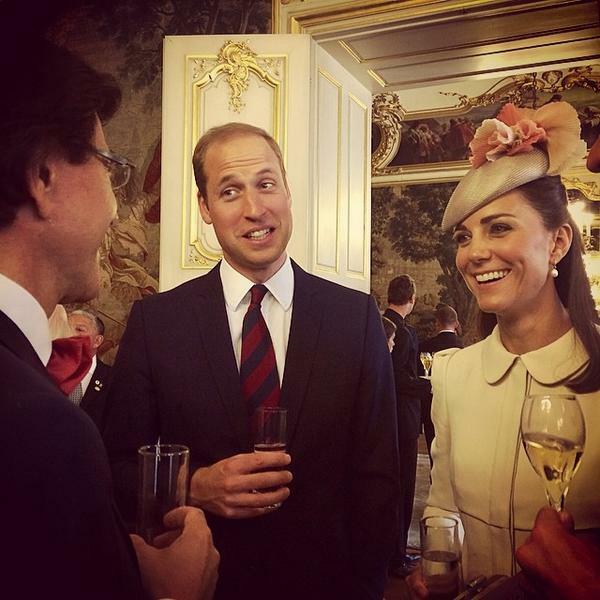 Here's five exciting events we can look forward to when William and Kate go on tour. Hooray for Bollywood. The start of their tour will see the Duke and Duchess of Cambridge rubbing shoulders with some of the biggest and best known film stars in the world as they attend what Kensington Palace are calling a 'glittering reception' with the promise of 'red carpet arrivals'. The big evening event takes place in Mumbai at the end of their first full day and will see them meet celebs and business leaders. It's pretty hard to find photos of the royals making like the rest of us and having a huge chocolate feast. And even though Prince William had a second wedding cake made of chocolate biscuits it was sliced and tasted behind closed doors. Fair enough, we all might want a taste. 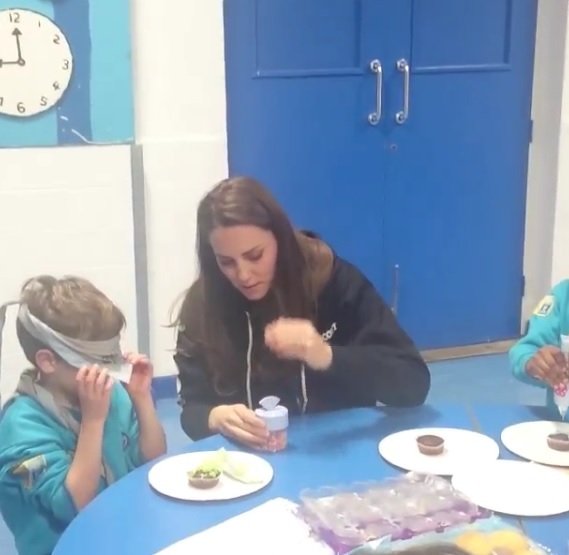 But as we get over the annual chocolate binge that Easter brings with it, here are 5 times we've seen royals enjoying chocolate - even if it is just a look sometimes. All royal wedding gowns are spectacular in their own way but the dress of a queen in waiting has to have something really regal about it. 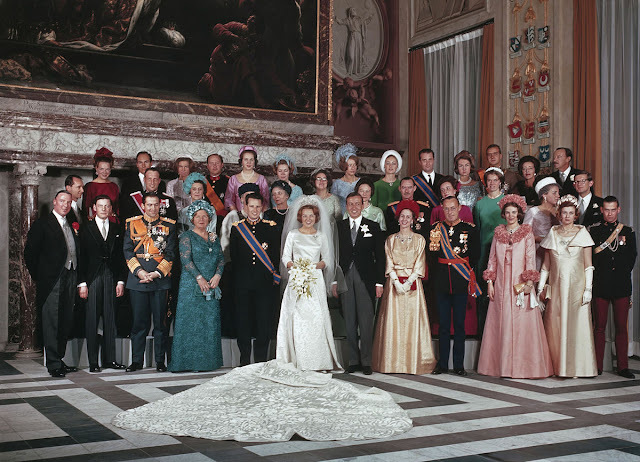 So the wedding dress chosen by Princess Beatrix of the Netherlands fifty years ago this month came with a lot of expectations and anticipation attached to it. And when the bride walked into the Westerkerk in Amsterdam on March 10th 1966, her gown didn't disappoint. It's not your typical weekend read about royals but then the subject is well aware of that. Crown Princess Mary of Denmark has just given an interview to one of her country's media outlets about women's rights and it gets right to the heart of the matter. Mary was chatting to Berlingske about issues affecting women and girls around the world ahead of a major summit on women's rights being held in Denmark. Mary will play a big part in that and has already shown her support attending preliminary events but this interview was a window on what the princess believes and her ideas for the future. Easter means bonnets, bright colours and a real hint of spring in the Royal Wardrobe. And the outfits on display today didn't disappoint. We had reds and pinks, some cracking hats and a burst of sunshine yellow that said summer is on its way. Here are five looks we won't forget from this year's royal Easter wardrobe. As Easter Day gets under way, royals across Europe have been attending services. From the sunshine of Rome to rain in Windsor, there have been many celebrations taking place with more still to come. And we start with Felipe of Spain and his family who headed to Easter Mass in Palma de Mallorca with blue skies behind them. 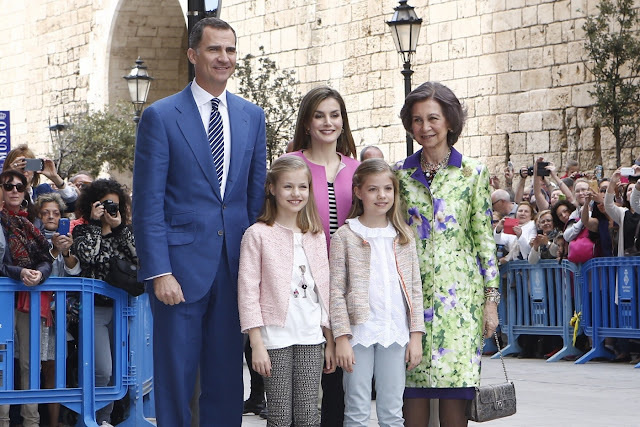 King Felipe, Queen Letizia, their daughters, Princess Leonor and Infanta Sofia, and Queen Sofia posed for photographers before heading into the service at Palma Cathedral. The Queen led the Royal Family at Easter celebrations at Windsor. They attended a church service at St George's Chapel this morning. Easter is celebrated in different ways across Europe and that is reflected in the ways that it's marked by the continent's royals. And as Easter Sunday itself approaches, some of the regal traditions associated with this time of the year are already under way. Here's a look at how this year's royal Easter celebrations are unfolding. We start in Monaco where Prince Albert II and Princess Charlene have attended the traditional procession that takes place on Good Friday. The royal couple watched the event from the balcony of the Prince's Palace. The procession traces its roots back to the 13th century. Another royal tradition which began in the 1200s took place on Maundy Thursday when the Queen attended the traditional Maundy service, held this year at St George's Chapel, Windsor. As Princess Sofia prepares to welcome her first baby, it's time to look back at the fabulous fashion she's worn as a mummy to be. For there is little room for doubt here - the princess does pregnancy style about as well as anyone around. There have been some great evening looks (see them here) while her daywear has been chic and sharp. Here's how Sofia of Sweden did style in the last months of her pregnancy. January 20th 2016, Royal Palace, Stockholm As 2016 got under way, Princess Sofia made an appearance with King Carl XVI Gustaf and Queen Silvia at the Music in the Palace event. She chose a monochrome outfit with cropped sleeves that did relaxed formal rather well and looked fabulous to boot. 2016 was off to a great start. As the week comes to an end and the spring sunshine reminds us of all there is to look forward to, there are some royal memories that will linger for a long time to come. Seven days, five photos, one week in images. Here are some of the best royal pictures of the week just gone. 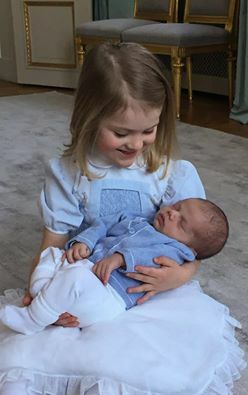 It's the royal baby photo we were all waiting to see, Princess Estelle and Prince Oscar of Sweden together. We weren't disappointed. Dad Daniel did the honours and we got a hug and a smile that was worth the wait and then some. Plus Estelle did retro fashion again by wearing a dress first used by mum back in 1982 when Princess Madeleine made her debut. A picture for the history books. 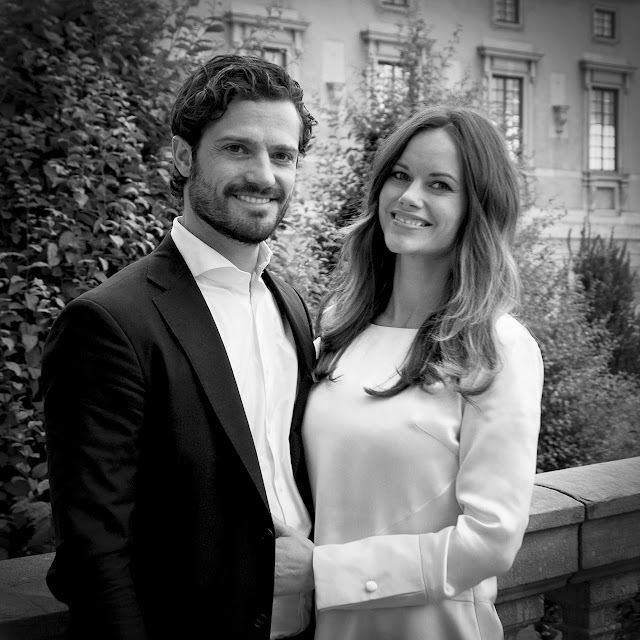 Royal Baby Sweden: it's a boy!